224 pages, 234 x 156mm, price £17.99. In 1845, a disease from America, phytophthora infestans, ‘potato blight’, swept Ireland. Exacerbated by 3 weeks’ heavy rain at harvest time, it destroyed 30-40% of the crop. The Fear-Gorta, the famine-bringing fairy who took the guise of an emaciated beggar, stalked Ireland’s green hills, and everywhere the life-giving potatoes were reduced to a stinking slime. The Irish people, once a proud and independent race, but long-since subjugated to the rapacious rule of the British, died in their hundreds of thousands. Those who could staggered aboard the typhoid-infested “coffin ships” and risked everything to reach foreign shores. Even when the famine subsided, the ambition of every young – and not-so-young- Irishman and woman was to start a new life elsewhere. Thus, the populations of (in particular) Scotland, Wales, England, Canada, the United States, Argentina, Australia and New Zealand were swelled with great influxes of Irish people and Irish blood. Today, many people around the English-speaking world, to say nothing of Spanish-speaking Latin America, have Irish surnames. A vast number more – maybe almost everyone – have at least one line of Irish ancestry. Edwardian Tracing Irish family history can be an extraordinarily rewarding pursuit, and with this book’s guidance it need not be as difficult as you might think. First, you need to trace back through the records of your home country, to locate your immigrant ancestor. The first section of this book describes the records of Scotland, Wales, England, Canada, the United States, Argentina, Australia and New Zealand and explains how to use them for this purpose. Then, still using your home country’s records, you need to work out where in Ireland your people came from. Sometimes, no amount of research will yield up this secret, so you must turn to the records of Ireland for help. And help is at hand: there are several prime sources that help localize surnames to particular parts of the Emerald Isle, and plenty of records that will help you confirm where your roots lie. Don’t pay heed to those doom-mongers who say all the records have been lost! Many have, to be sure, and many you’d hope were there were never made in the first place, but there’s still plenty there for those who know where to look – as described in full in this book. Irish surnames are a rich source of information in themselves. Rather like the DNA we carry in every cell of our bodies, Irish surnames contain a huge amount of coded information on family origins. Armed with the right sources, you can de-code Irish surnames to learn where your people are likely to have lived long ago. Most Irish surnames start O’ or Mac – or at least, they used to before the English stripped them away. Mac means “son of –” and O’ means “grandson/descendant of –”. More often than not, the person named as the ancestor is someone you can identify in one of the family trees of the many families of sub-kings of Ireland. And their ancestry can often be traced back to the kings of the Cúig Cúigí (‘five fifths’) of Ireland – Leinster, Munster, Connacht, Ulster and Meath. These traditional pedigrees are a fascinating mélange of genuinely remembered and faithfully recorded oral histories; ancient Irish legends and traditions, and, it must be admitted, a certain amount of creativity on the part of their monastic recorders. 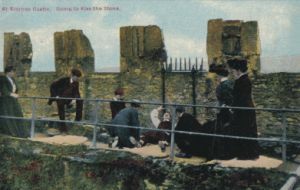 They connect many people with Irish ancestry back to ancient Irish Roots. DNA, interestingly, is proving many of these connections to be true. They also connect vast swathes of people living all over the world who have Irish ancestry back to the earliest Irish traditions, to Milesius, said to be a descendant of Noah, and his intrepid sons who conquered Ireland and founded the Irish nation. This book explores the routes available for delving into the past for anyone with Irish ancestry. Besides the Gaelic majority, it also looks at families whose origins lie with the immigrations of Palatine Germans, Huguenots, English and Scottish planters, Cambro-Norman invaders and even the Vikings who ravaged Ireland’s shores over a thousand years ago. All available types of Irish records are covered. The book details where the original records are and what they will tell you, and highlights what is available for searchers in other countries, via microfilm and, increasingly, on the Internet. This book is a must for anyone interested in their Irish Roots. Ideal for the complete beginner, it also explores the previously neglected areas of surname origins, ancient pedigrees and DNA testing in an innovative way that will fascinate even the most experienced researcher. 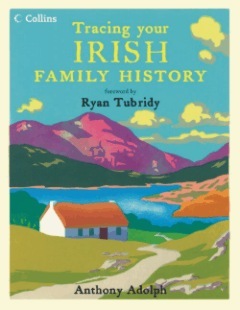 This book also places Irish records and genealogical research firmly in its historical context, revealing the rich layers of story and tradition that underlie even the most ordinary Irish families. Tracing Your Irish Roots was published on 1 October 2007. The website http://anglo-celtic-connections.blogspot.com:80/2009/08/canadas-bestselling-genealogy-books.html Anglo-Celtic Connections revealed that August 2009’s best-selling genealogy books in Canada were Spencer Wells’ DNA study, Deep Ancestry, followed by Anthony’s Tracing Your Irish Ancestry, then a book about the Irish Potato Famine by Donald MacKay, followed by Anthony’s Tracing Your Scottish Family History. The book was the subject of a competition in August 2008’s edition of Practical Family History. The book was the basis of two lectures given by the author on 11 October 2008 at the Society of Genealogists, London. 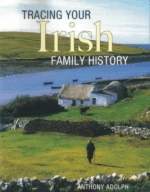 Tracing Your Irish Family History was published on 2 October 2007 and was hailed an “Expert’s Choice” of family history book in the Christmas 2007 edition of Family History Monthly (“an ideal gift for any family historian, not only those with Irish connections”). Anthony Adolph is one of genealogy’s media-savvy faces, an established authority renowned for clear explanations and practical solutions to research problems. This many people know, but what he pulls off here demonstrates his ability to leaven these qualities with a gift for recounting social history in a fascinating and accessible manner. He puts family history firmly within its wider historical context and thereby highlights the strengths and limitations of the sources that he analyses. A book so full of up-to-date practical advice, which is so visually appealing and easy to dip into, is a rare achievement. The final section, tackling the role of Christian names and surnames, heraldry and mythology… guides the reader through new and challenging territory. This is a resource unavailable in Britain and most other developed countries, and fine judgment is needed to harvest this cryptic territory. At this point, tradition and family history merge and Adolph is a trusty pilot through the mists that lead all the way back to the legendary Milesius. Together with the 70 million people who claim Irish ancestry – including 25 per cent of the English population – anyone with an interest in Ireland will find this book enthralling. – Joe O’Neill, Who Do You Think You Are Magazine, issue 2, November 2007, p. 83. – Sarah Warwick, Family History Monthly, Christmas 2007, p. 52. I have devoured many Irish genealogy guides but I wish to thank you for putting into the public domain: Collins Tracing your Irish Family History. It is simply superb for its background information on resources and contextual Irish history. Simply put it is “a cut above buttermilk !”, Shaun O’Byrne, via e-mail. 12 April 2009. A major new book on Irish family history. – Ancestors, November 2007, issue 63, p. 5.
another splendid, accessible and enjoyable book packed full of useful information. – Your Family Tree, December 2007, issue 58, p. 85. Recommended in “Heirs of Eire”, Joseph O’Neill, Family History Monthly, January 2008, no. 152, p. 37. It is brilliant – I really thought I had got to the end of my research – but you have definitely given me several leads to follow. – Miriam Geraghty, UK representative of Clan Crowley. Full of practical advice on how to navigate censuses and religious records, it also contains some stimulating material on surnames, heraldry and the chieftain traditions. With everyone from Muhammad Ali to Barack Obama claiming to have Irish bloodlines, this classily produced book could hardly be more topical – Andrew Lynch, The (Eire) Business Post, 16 December 2007. 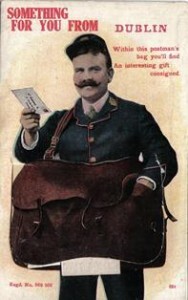 Anthony Adolph’s engaging style should provide a winner – Ian Maxwell, Ancestors (the magazine of The National Archives), December 2007, p. 70. I am currently very much enjoying your book on Ireland which was lent me a little while ago. I can see how you must have got very involved in genealogy through your own family story. These journeys remind me of Mandelbrodt theory – the way things just amplify exponentionally the more you get into them. Using your own (and other) examples I think very much enlivens what could be a rather heavier read on genealogical basics – Mrs J. Conacher, Perth, Ausatralia. For a good overview of Irish family history a new book by Anthony Adolph: Tracing Your Irish Family History is well worth reading. It is published by HarperCollins and gives a very readable overview of solutions to problems facing the genealogist” – Martin Rigby, Liverpool Echo, 12 January 2008. 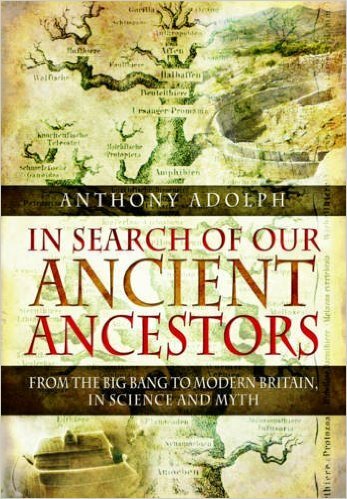 Author Anthony Adolph, a professional genealogist in the UK, is a well-known figure in Britain and the author of several books, including a guide to Scottish genealogy. He brings an international perspective to his writing as he examines Irish heritage in his latest book, Tracing Your Irish Family History. In his preface, Adolph states, “This book is designed to help you trace your Irish roots as far back as they can go”. Adolph takes his goal to heart by opening his book with a beginner’s basic guide to identifying your Irish immigrant, then leads his readers back through time, ending with a section on tracing ancient Irish lineages… The real strength of Adolph’s book lies with his treatment of Irish history. Readers unfamiliar with Ireland’s past will learn much about its intriguing and complicated heritage. Richly illustrated with photographs and sketches, Adolph provides historical perspective and context for Irish ancestors. – Alice Hoyt Veen, Iowa Genealogical Society Newsletter, Spring 2010, p. 9. 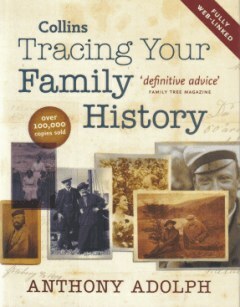 I also have a wonderful book called Tracing your Irish Family History by …… by… Anthony Adolph. According to this man my O’Connor line goes back to Noah! Might explain my love of animals and my affinity with rain and boats! – http://caitoconnor.blogspot.com/2008/01/just-day-in-my-life.html. This is an excellent book on the present state-of-play in Irish ancestral research… Beautifully presented, it would make an excellent and inspirational gift. – Michael Gandy, The Catholic Ancestor, vol 12 no2, August 2008. Although I have a number of older and much larger standard works on Irish genealogy, I bought this book as soon as I saw it in a bookstore because of the wealth of internet resources it offers for research without leaving home – customer review, http://astore.amazon.co.uk/opendemocra0e-21. This book is a fantastic aid to anyone researching their Irish family history. It is beautifully illustrated with hundreds of photos and would make a wonderful Christmas present. I have been researching my Irish family tree for years and this is by far the best book I have seen. There is lots of information about how to find records in your own country – and then it explains what can be found in Ireland and how to get it (with lots available on the internet). Highly recommended. If you’re willing to do a little digging, genealogist and author Anthony Adolph offers his expertise on how to access information in Ireland…. The book also includes useful tips on finding resources outside Ireland and on the internet. – Liz Grogan, Good Times 2009 05. Shows you how to unravel the story of your Irish roots…. An excellent resource for directing your research and putting it in an authentic historical context. – Family Chronicle 2009 08. The basic rules of family history research apply to just about every country…. But there are many variations on the formula, which is why it’s important to have a book that is specific to your country of origin… [This book is] well written and lavishly illustrated, so it’s possible to find something of interest on almost any page…. Fun fact from the book: Zorro was Irish. – Dave Obee, The National Post (U.S.A.) 2009 08 15. The book was nominated as one of Annette Dunlea’s “Great New History Books in the Media” for December 2009 on the Book Marketing Network’s website http://bookmarket.ning.com/profiles/blogs/new-history-books. The book was recommended in ‘additions to the collection’ section of the Plainfield/Guildford Township Public Library Indiana “winter reading club” newsletter Title Pages for January/February 2010. 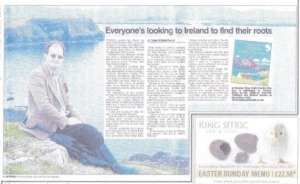 The book was the subject of an interview with Anthony in The Irish Post on 22 March 2008. Nipawin Journey (Saskatchewan, Canada), http://www.nipawinjournal.com/ArticleDisplay.aspx?e=2726761 If you are interested in your family’s history at all, you may want to take a look at two books that we have. 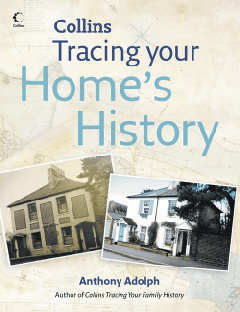 The first is Tracing Your Irish Family History by Anthony Adolph. Adolph shows you how to untangle your family history and describes the kinds of resources available to you to help you find information on your family. He understands the difficulties that can result in dead ends and how to find your away around them. This is a good guide for a beginner and has some information that may be a good idea for a veteran family researcher as well. Renowned genealogist Anthony Adolph shows you how to unravel your family history… – Family Chronicle (North America), September/October 2010, p. 17. I just read your book on Irish Genealogy and it is magnificent – Mike Meggison, Penfield NY. The first thing that will strike a reader of Tracing Your Irish Family History who has some knowledge of Irish genealogy, is the quality of its design and production. We are simply not used to the topic being covered in hardback format, with up to four full colour illustrations on every page. The pictures alone make the book appealing. You simply must flick through it. The illustration captions begin to draw you into the text. Then you start to read the side bars. When you find yourself taking an interest in some of the chap­ter subheadings, you decide to get an overall picture of how the author treats his theme by turning back to the contents page. His approach seems logical. Part one is headed ‘First Steps’; the next section covers: ‘Tracing back to Ireland: coun­try by country’ and that leads to section 3: ‘Tracing our roots in Ireland’. The final section is an addition to the usual fare in ‘how to’ books of this sort: ‘Tracing ancient Irish roots’, and certainly arouses interest. The book came too late for the thorough review which it merits. However, the areas about Irish sources that were read with care seem to be relevant and accurate. All the old favourites are included and described in sufficient detail: Griffith’s valuation, the tithe applotment books, civil regis­tration, censuses, church regis­ters and occupational records. A section headed: ‘Dictionary of Irish sources’ lists and gives brief descriptions of some of the lesser used and more diffi­cult sources, including among many others: the Registry of Deeds, estate records, Land Commission, hearth money rolls, shipping lists and wills. That chapter finishes with a useful ‘further reading’ list. He suggests using the sur­name as a means of ‘localising’ the ancestor. This way of pro­ceeding is based on the fact that many Irish surnames are specific to certain parts of the country. Indexes to sources such as Griffith’s valuation and the tithe applotment books indicate the number of occurences of a surname in various administrative divi­sions. Using those indexes and Matheson’s Special Report on Surnames in Ireland, the author suggests, may pinpoint where in Ireland the ancestor origi­nated. This is a long shot and requires an amount of work that many would consider to be excessive. However, he does make other suggestions as well, including the use of DNA testing. On reflection, perhaps the author is right to adopt an optimistic tone. Perhaps peo­ple are getting fed up of hear­ing about all the marvellous records that went up in smoke in the Four Courts building in 1922, and the almost insur­mountable problems that event created for Irish genealo­gists. In the final section, ‘Tracing ancient Irish roots’, the author does not give the impression that there is any great likeli­hood that you may end up with a documented pedigree going back to Brian Boru and before. He states simply that ‘your surname may indicate your place in ancient Gaelic pedigrees.’ He then goes on to give a clear and interesting account of the old Irish genealogies and the myths on which they are based. DNA again comes into this chapter and the author recounts how it has helped to confirm some of the ancient Irish genealogies and has cast farther doubt on others. The foreword is written by popular broadcaster Ryan Tubridy. Though it consists of no more than the waffle one might expect, it would appear to confirm that the publication has an eye on a wider reader­ship than the existing small genealogical community. I have no doubt but that the bright and lively format, the wide scope of the material, the thorough research and the engaging style of writing will put Tracing your Irish Family History at the number one spot in the ‘how to trace your Irish roots’ category. Leading Canadian genealogist Dave Obee wrote in the Victoria Times Colonist (Canwest News Service) on 5 August 2009: The basic rules of family history research apply to just about every country: Start with sources within your family, sort out the geography, then check for sources such as birth, marriage and death records as well as census returns. That said, there are many variations on the formula, which is why it’s important to have a book that is specific to your country of origin. These two books by Anthony Adolph – which have been available in the British Isles for a year or two – are likely to convince more people to research their roots. They are well-written and lavishly illustrated, so it is possible to dive in at almost any page and find something of interest. A London-based professional genealogist, broadcaster and writer, Adolph (www. 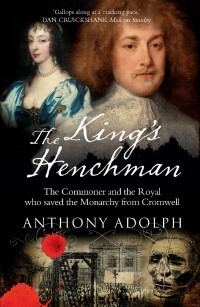 anthonyadolph.co.uk)has hosted series about family history on British television and radio. Adolph gears his writing to the raw beginner, then builds on that base as he introduces more obscure sources and more advanced techniques. He uses plenty of examples of documents so you will get a sense of what to expect. Both books have been updated with information on the best websites to use. They also refer researchers to family history libraries run by the Church of Jesus Christ of Latter-day Saints – the best storehouse of genealogical information ever assembled – as well as specialized repositories that would require a trip across the Atlantic Ocean. The Irish book acknowledges the tremendous movement of people out of that country over the years, and provides tips for people starting their Irish research in other countries, including Canada. Adolph also deals with the loss of key rescources over the years – with church registers and census returns at the top of the list. The outlook is much brighter in the Scottish book. Much less has been lost over the years, and much more is available through the Internet – and Adolph urges his readers to dig beyond the basics to find more details about the lives of their ancestors. Adolph provides plenty of examples of family histories in both books. He reviews, for example, author J.K. Rowling’s Scottish origins, and also notes that Zorro, of all people, was Irish. These two books would be sure to help anyone doing family history research in Ireland or Scotland. They are among the best books of this type in the past decade. Chip Bruce on http://homepage.mac.com/chipbruce/deliciouslibrary/ireland.html, “The all-in-one guide to tracing Irish ancestry”. wrote – A total of 36 million Americans claim Irish ancestry — more than 10% of the total population and almost nine times the population of Ireland itself. Thousands of Americans travel there in search of their family roots. Tracing Your Irish Family History is an exceptionally useful resource for these data-hungry explorers. 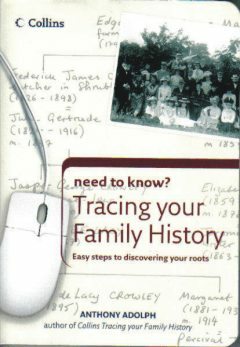 In this book, genealogist Anthony Adolph gives insider tips on how best to locate and access specific family information in Ireland, including county archives and libraries, local publications, tax rolls, censuses, religious and civil registers, court and military books, as well as many other more obscure records. He also includes good advice on researching sources in the U.S., Canada, England, Wales, Argentina, Australia and New Zealand. Fortunately the Internet, digitized archives and DNA sampling have made it easier than ever to reconstruct a family tree. Abundant photographs, illustrations and authoritative text tell the compelling story of Irish society and emigration, from the early invasions to the Potato Famine to today’s prominent families worldwide. Adolph also explains how critical historical events in Ireland affected how and where its people lived. He gives step-by-step guidance on vital data resources such as Griffith’s Valuation and Tithe Applotments, Fiants and Poor Law Records, Irish place names and Anglicization, surname meanings, prominent pedigrees, genetics, ancient Irish roots and heraldry. Tracing Your Irish Family History is the essential research tool that gives an authentic historical perspective on Ireland and the lives of the Irish — a core reference for researching an Irish family tree. 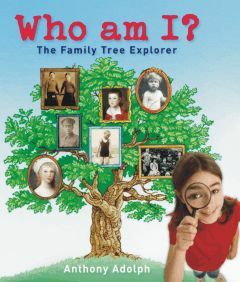 Family Chronicle (July/August 2012, centerfold) described the book as providing Expert help in tracing your family’s past. In my 35 years of researching Irish families I’ve never encountered as helpful a book as Anthony Adolph’s. It’s very informative, well written, vividly illustrated and inspirational. I highly recommend this book to beginners as well as experienced genealogists. My wife found this book in our public library and brought it home for me to read. I didn’t get all the way through it but found it very useful since there are so many web sites to use and details of where to search. She also borrowed a second book which was not as useful or detailed. I had to buy a copy of this book since I’ve been stumped for years on where to search for my ancestors in County Cork Ireland. I have a general idea but not specifics. This book should help me using Internet sites that I already have access to through memberships such as Ancestry.com and FamilySearch.org. But I had no idea how to search in Ireland using their records and what is available. Now I have a better understanding of what records are available for which years and where to find them. This book is great. 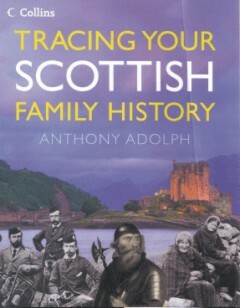 Alice Hoyt Veen wrote (on http://www.prairierootsresearch.com/tracing-your-irish-family-history/#more-543), “Author Anthony Adolph, a professional genealogist in the UK, is a well-known figure in Britain and the author of several books, including a guide to Scottish genealogy. He brings an international perspective to his writing as he examines Irish heritage in his latest book, Tracing Your Irish Family History. 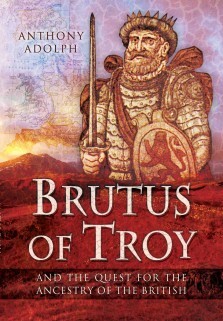 In his preface, Adolph states, “This book is designed to help you trace your Irish roots back as far as they can go.” Adolph takes his goal to heart by opening his book with a beginner‟s basic guide to identifying your Irish immigrant, then leads his readers back through time, ending with a section on tracing ancient Irish lineages. He devotes a chapter each to the history and genealogical resources of the seven countries most identified with Irish immigration. Six of these are former British colonies or commonwealth countries, including the United States. Surprisingly, the seventh is Argentina, home today to some 800,000 Irish descendants. The real strength of Adolph‟s book lies with his treatment of Irish history. 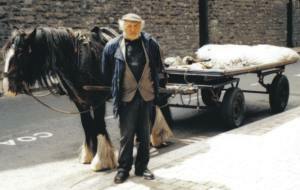 Readers unfamiliar with Ireland‟s past will learn much about its intriguing and complicated heritage. Richly illustrated with photographs and sketches, Adolph provides historical perspective and context for Irish ancestors. The only disappointment is the lack of maps. Adolph supplies numerous links for Irish maps and other resources online, but a good map would have been helpful to locate the many geographical locations referenced. Even so, this Irish research book will inspire you to learn more about your Irish heritage”. 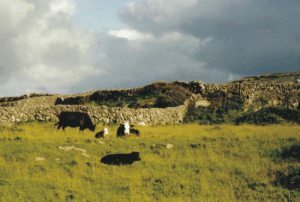 One of the best resources for learning about Irish ancestors. Highly recommended. This covers the widest possible range of resources plus a great review of historical events that influenced the decisions of Irish people. I am really enjoying your book, Anthony. Wish you strength, success and fulfilment on your research and writing.